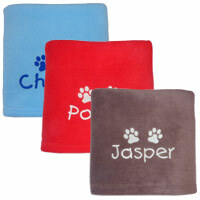 These personalised soft, fluffy and absorbent dog bath towels are beautifully embroidered with your dog's name. No need to share your best towels or give your dog the flat old towels no one else wants anymore. 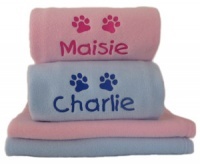 Their very own soft, super absorbent towel, especially for them and personalised with their name so no one else uses it. Perfect for bath time, in the back of the car, after a wet walk or to give as a unique and bespoke gift. 100% cotton 500gsm towels. 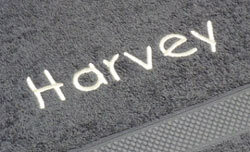 Individually embroidered (up to 10 characters). 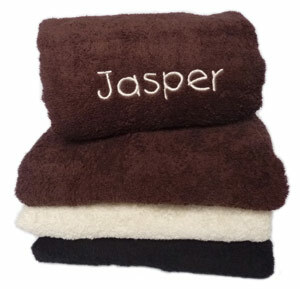 The towels come in a choice of 4 colours (grey, chocolate, black or cream) and a lovely range of colours for the embroidered name. 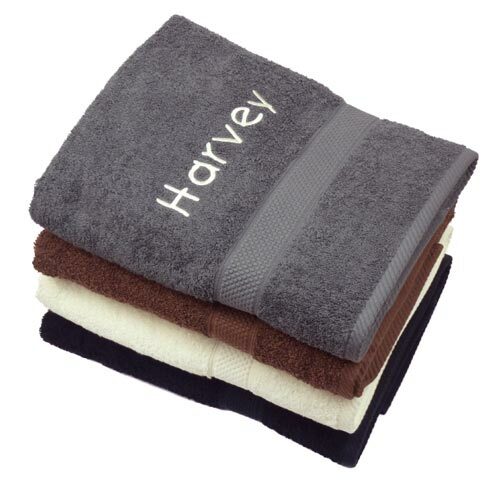 These bath towels are available in two sizes (small or large) to suit all breeds. A smaller face / paws towel flannel is also available separately for a handy quick wash or dry of wet muddy feet, faces, legs or bellies. Good sized soft towel. Very good embroidery and excellent choice of colours. Very quick delivery too. Bought as a gift. Lovely and soft, great quality. Super fast delivery too! 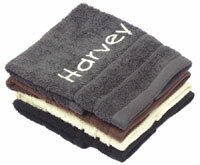 Lovely soft towel, just as described, very quick delivery. 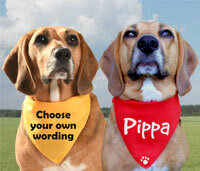 Excellent value -- good selection of colours and the personalisation - or should that be dogalisation - is first class. I got a couple of the personalised towels for our new pup. 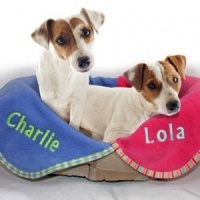 They are fantastic quality, lovely and soft for snuggling up furry friends. The personalisation looks fantastic, I'll be ordering another few. This is so soft and snuggly. 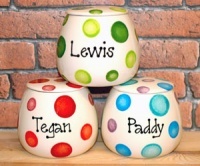 The colour is perfect and personalisation has been very well done! Another winner.